Seth MacFarlane follow up to his hit comedy “Ted” from 2012 is going to be a comedy and Western. 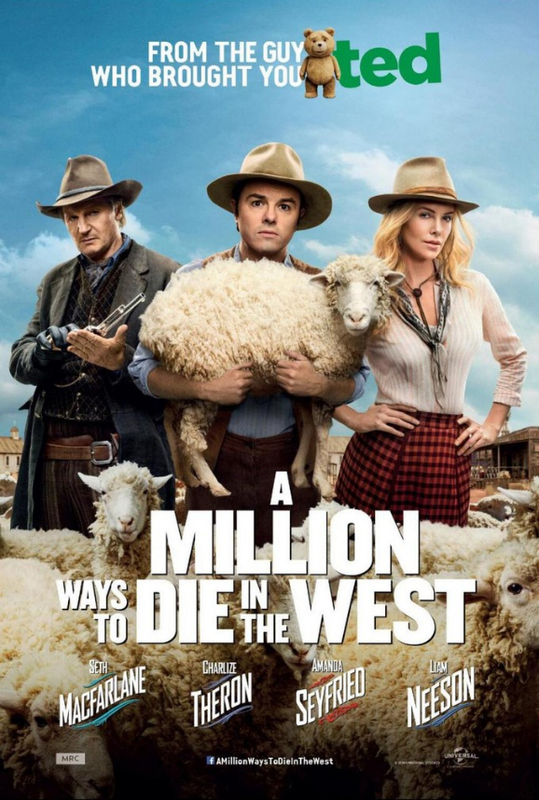 “A Million Ways To Die In The West” is positioned to be one of the biggest comedies this summer. The film features an all-star cast and from the looks of the movie’s new poster, it looks like it will be a very funny one too. Universal Pictures has put a lot of faith on MacFarlane after the surprise success of “Ted,” so hopefully “A Million Ways To Die In The West” will be another good one from the “Family Guy” creator. The new Western comedy stars Seth MacFarlane, Charlize Theron, Amanda Seyfried, Liam Neeson, Giovanni Ribisi, Sarah Silverman, and Neil Patrick Harris. “A Million Ways To Die In The West” will hit theaters everywhere on May 30, 2014.